In July, the U.S. Fish and Wildlife Service (FWS) and NOAA Marine Fisheries (NMFS) issued a sweeping proposal to amend key provisions of the Endangered Species Act (ESA), including provisions pertaining to listing decisions, critical habitat designations, and interagency consultations. Much has already been written about how this proposal would weaken ESA protections, particularly for threatened species, and make it easier for projects to gain approvals despite potentially adverse impacts on endangered and threatened species. This blog takes a closer look at how the proposed amendments could affect ESA management decisions for species that are imperiled by climate change. Generally speaking, any weakening of ESA protections could undermine efforts to maintain biodiversity and ensure species survival in the context of rapidly changing climatic and biological conditions. Many scientists believe that a mass extinction event is already underway as a result of human activities (the “Holocene extinction”) and that climate change is and will be a significant driver of extinctions. In this context, new tools and approaches are needed to improve protections for species that face an existential threat due to climate change. FWS and NMFS could also benefit from clear guidance on how to account for climate change-related threats in ESA management decisions. The proposed amendments do the opposite. They do introduce vague standards which appear to be aimed at limiting the extent to which observed and projected climate change impacts can serve as a basis for listing decisions, critical habitat designations, and interagency consultations. (This purpose is not explicit, but it is the most likely explanation, in light of the current administration’s deregulatory efforts.) The four provisions are discussed below. Critical habitat designations may not be “prudent” for species that are imperiled by climate change. This provision seems reasonable at first blush. Under the existing ESA regulations, FWS and NMFS are not required to designate critical habitat if such designation would not be beneficial to the species. The primary effect of the designation is that it triggers a requirement for federal agencies to ensure that actions they plan to undertake, fund, or authorize do not destroy or adversely affect the species or its habitat (this occurs in part through a legally mandated “consultation” process). If there is no way that this consultation process could result in the identification and implementation of management measures to address threats to the species’ habitat, then the critical habitat designation would not provide any benefit to the species. Interpreted in this fashion, the provision fits within the existing regulatory framework. A precise reading of the proposed standard would not generally preclude FWS or NMFS from designating critical habitat for species that are threatened by climate change, because in most (and perhaps all) cases there are at least some threats to the species’ habitat that can be addressed through management actions identified in ESA consultations. Consider the example of the polar bear, which is primarily threatened by climate change but also adversely affected by other human activities such as hunting and energy development. The designation of critical habitat for the bear is beneficial insofar as it triggers the requirement to evaluate federal proposals that affect that habitat (e.g., oil and gas drilling) and either reject those proposals or incorporate mitigation measures to prevent jeopardy to the species. 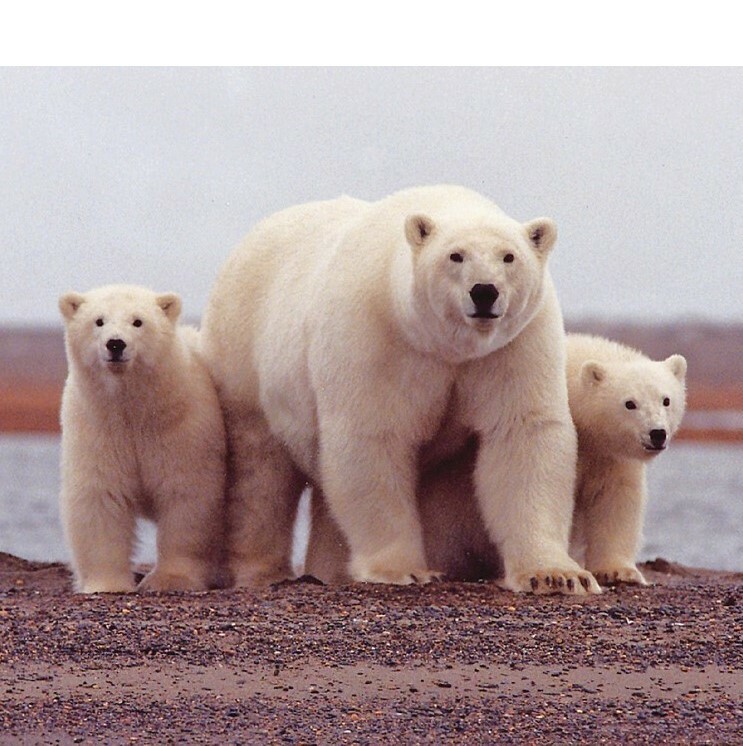 While protecting the polar bear’s critical habitat will not stop sea ice from melting, it will give the bear a better chance of surviving and adapting to changing conditions. Nonetheless, the services have signaled their intent to use this new standard to avoid designating critical habitat for species affected by climate change. Specifically, in the text accompanying the proposed revisions, the services state that a critical habitat designation may not be prudent for “species experiencing threats stemming from melting glaciers, sea level rise, or reduced snowpack” because “a critical habitat designation and any resulting… consultation or conservation effort identified through such consultation, could not prevent glaciers from melting, sea levels from rising, or increase the snowpack.” The services fail to acknowledge that critical habitat designations for species experiencing such threats could help to alleviate other stressors, as detailed above. This raises the question of whether the services intend to look only at major threats (e.g., threats that could, on their own, support a threatened or endangered finding) when applying this provision. If so, then the services could avoid designating critical habitat for many species that are primarily threatened by climate change. But there is no legal support for this approach in the ESA. A new definition of “foreseeable future” could be used to ignore or downplay climate change projections in threatened species listing decisions. The foreseeable future extends only so far into the future as the Services can reasonably determine that the conditions potentially posing a danger of extinction in the foreseeable future are probable. So why would the administration propose such language? The most likely answer is that such language could potentially be used to justify a decision to not list a species as threatened despite future threats associated with climate change or other forms of environmental change. For example, NMFS or FWS could establish a definition of “probable” that requires some quantified level of scientific certainty – which is difficult to achieve for certain types of climate changes impacts (even where the threat to species is quite obvious). The services could also argue that the language precludes them from making listing decisions based on future threats to the species that are not individually “probable” even if the cumulative effect of those future threats creates a high likelihood of endangerment. A new standard would constrain agency discretion to designate critical habitat in areas presently unoccupied by the species. This is another example of language that is not, on its face, a serious modification to the existing standard, since the statute already specifies that unoccupied areas only constitute critical habitat where they are “essential” for the species recovery – the plain meaning of which is “absolutely necessary” or “extremely important”. But there is an important distinction between a finding that the unoccupied habitat is “extremely important” to species recovery and a finding that occupied habitat is “inadequate” for species recovery. In effect, this revision changes the type of evidence that is needed to support an unoccupied critical habitat designation, placing emphasis on the ability of occupied areas rather than unoccupied areas to support species conservation. Such a provision could be used to justify the exclusion of unoccupied areas from critical habitat designations even where those areas are of considerable value to species recovery and might even provide more significant conservation benefits (as may be the case for species whose ranges are shifting due to climate change). Notably, there is a case before the Supreme Court this term that deals with the services’ authority to designate critical habitat in presently unoccupied areas (Weyerhaeuser Company v. U.S. Fish and Wildlife Service). The key question in that case is whether FWS adequately supported its determination that certain unoccupied areas of habitat were “essential” for the conservation of the dusky gopher frog and should therefore be designated as critical habitat. The Court’s answer to that question – and in particular, its interpretation of “essential” – could have important implications for this portion of the ESA regulations. It may be unnecessary to conduct section 7 consultations for federal actions that imperil species through climate change-related effects. There is no doubt that this revision is intended to preclude ESA consultations for federal actions that may imperil species by contributing to global climate change (i.e., through greenhouse gas emissions or changes in carbon sequestration). This same language was briefly incorporated into the ESA regulations through amendments passed by the Bush administration in December 2008 to reflect the understanding that ESA consultation “is not an appropriate or effective mechanism to assess individual Federal actions as they related to global issues such as global climate change and warming.” This language was only on the books for five months before the Obama administration enacted a 2009 amendment to remove it. Since then, there has been some discussion about whether and to what extent section 7 consultations should be used to evaluate the effect of federal proposals on global climate change and the corresponding impacts on endangered and threatened species. There is no statutory basis for simply ignoring greenhouse gas emissions and carbon sequestration impacts in section 7 consultations. But in most cases, the incremental effect of a proposed action on global climate change would be relatively small, and would not, on its own, jeopardize the continued existence of species that are imperiled by climate change. For this reason, contributions to climate change do not typically trigger section 7 consultations. This does not mean these impacts are wholly ignored in the consultation process: where consultation is initiated for other reasons, the impact of the proposal on greenhouse gas emissions and species imperiled by climate change is typically discussed. This was the practice of FWS and NMFS during the previous administration. Again, the proposed amendment would not clearly prohibit agencies from initiating section 7 consultations based on a proposal’s greenhouse gas impacts or from evaluating those impacts in consultations. But it would establish a higher standard, which could be used to justify a decision not to initiate consultation or to ignore these matters in a consultation that is already initiated. This is particularly problematic insofar as there is a compelling need to comprehensively assess the environmental effects of federal actions with major greenhouse gas impacts – such as the federal coal leasing program – and the section 7 consultation process could be one way of facilitating such assessment. In short: the proposed amendments to the ESA regulations would likely undermine efforts to protect species from threats associated with climate change, due to both the general rollback of existing protections, and the introduction of these four standards. As discussed above, the standards are so vague that they confuse rather than clarify agency obligations and could be used as a justification for withholding ESA protections for species that are imperiled by climate change. FWS and NMFS are accepting comments on the proposal through September 24. Instructions for online commenting are available here.